I mentioned it a few times before but here is a little more detail. Second is showing how much I need to move —> the midi note for it to play “almost” correctly. When pressing f.e “C” whilst the transport is playing, all is well. But once I press record, the first few seconds are scrambled and jumbled. Also, once the track has looped “or” 2 parts play in succession, it plays fine - but stop n start displays the same behaviour... scrajumbled. P.S, that last screenshot was not easy to capture - had to use all my fingers n toes..
@King Thanks for precise description, we will look at this cockroach ! I still can't get Reslice to play ball even with the changes I've made. 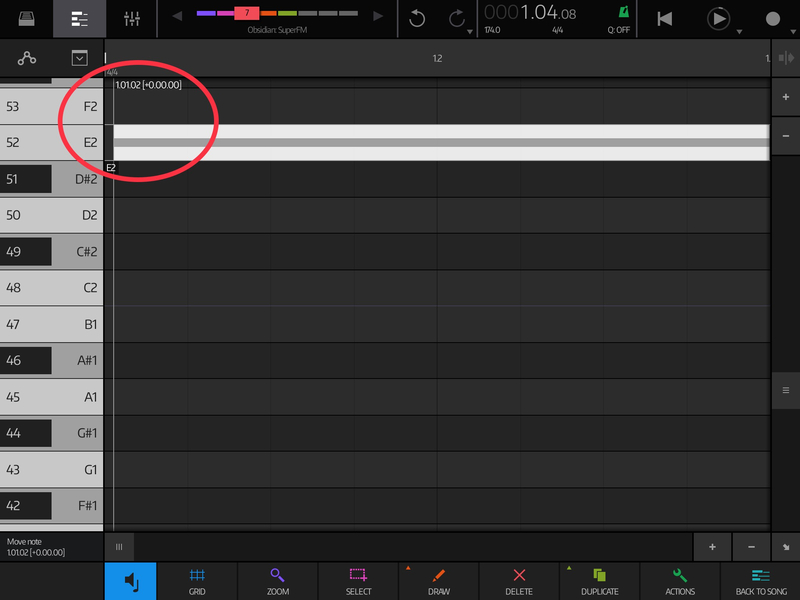 It isn't happy when NanoStudio moves the song position to exactly to the start of the next note it should play (either via a user interaction, when the song loops whilst playing or at the start of the song). Seems to be worst when its arpeggiator is set to 'key sync' mode. I'm sure I'm just passing it the wrong info somewhere along the line but I've checked it many times and nothing stands out. Fortunately I've managed to get in touch with the developer and he's kindly offered to take a peek from the inside - hopefully he should be able to quickly spot what I've screwed up. Pasted/quoted this here, cos, well, OCD and such..
Haha, I know, I know! I tell you what though, I know you have it, because there is a LOT of perfection in NanoStudio 2, ... too..
Set Hold/Sync to Standard and move your clips down the timeline 1 measure. Set the loop to the clips. Rewind to the beginning of the sequence (not the loop) and play. It will start and loop perfectly. PS - never mind. It starts to go out of sync. I had some stuff working fine but... will have to look at this a little more. An update on this - it's taken some time as I've been working with the developer of Reslice (who's a busy man!) and he's successfully got to the bottom of the problem with key sync. 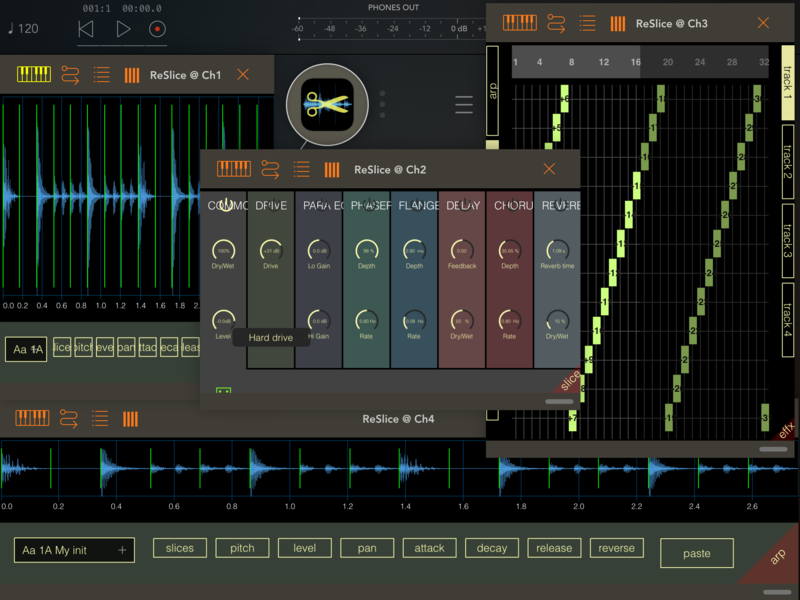 He's given me a beta version of Reslice which seems to be working as expected. I don't know when they plan to publicly release this version but hopefully it'll happen in the near future. I've also brought up the issue of VirSyn AUs incorrectly responding to sample rate changes. As I said before, I get the impression that they're busy at the moment so I don't know when a fix for this will happen, but at least it's on their radar and I'll continue to do my best to support them. It’s nice to see devs working together (hopefully) to make things better. It’s frustrating to try to produce music on iOS when things that “should” work seem to be “just a little off”. Usually everyone ends up blaming Apple and nothing ever really gets fixed. The iPad is so close to being the ideal portable music studio (of course NS2 is just about there by itself) and if devs can continue to work together to sort these things out the world will be a better place. For you. And me. Just wait. And see! Yes agreed - working through this stuff has cost a lot of time recently. Since NS2 is relatively new I have to start by assuming it's my problem and then reach out to the AU's developer if I'm not getting anywhere and that slows things down a lot. As time goes on then hopefully I can be increasingly sure it's less likely to be at my end which should help speed the process up. Probably. I think very helpfull is also article which you wrote about proper sample rate / buffer size handling - this needs better visibility ! I think it can save a lot of time and troubles to many plugin developers. Maybe specialised thread on AB forums "Devs for devs"
The thing is, the devs have to be willing to do something about these issues . Some are way more responsive than others. Being willing, and having the time and resources, are sometimes two different things. Exception being Korg. Able, but not willing in most cases (at least for features anyway. They are pretty good about bug fixes). Agreed. An extension of my thoughts on this which I didn’t include in my previous post (because I was interrupted) is that hopefully the industry will grow to the point where it makes sense (especially financially) for devs to be able devote that kind of time and resources to their apps. As has been discussed many times I know! Their update will be welcomed! If it’s not soon enough, I’ll contact Harry. I look forward also to NS2’s 1st update..
Well today is soon enough! Update is in the Store, but getting reports about crashing “Pro 12.9”, so I’ll wait for more info on other iPads. 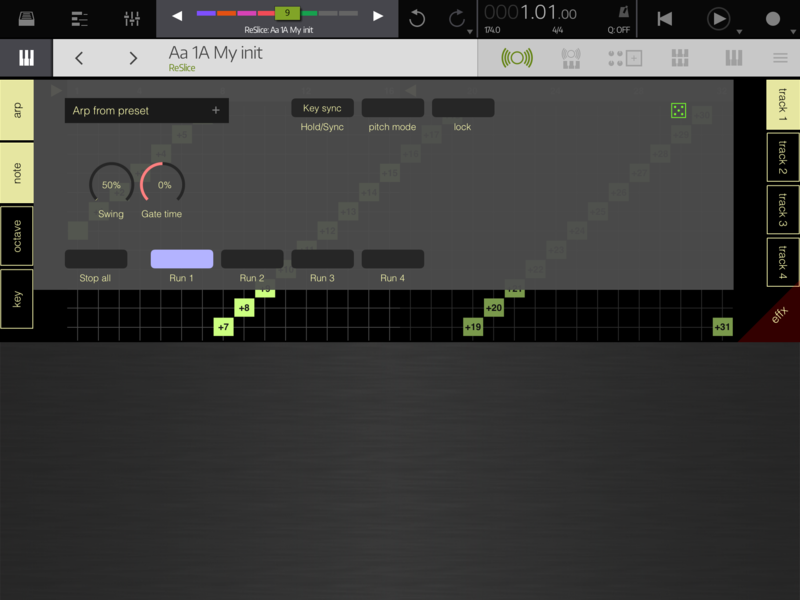 Added: Also on iPad 10.5..
on iPad Air 1 it works like breeze, arp perfectly in sync and also higher sample exports rate issues fixed. Was just thinking I’m gonna update now anyway, as I wouldn’t miss the resizing as it wasn’t there before. And I would only use that feature in AUM (maybe Auria). In NS2, it works now, (‘somewhat’). I’ll have to test with a brand new project.. Right now I don’t really care, (too much) as long as my Ting works! Yeah new project and it’s still messing around. Recorded fine I my old project, (apart from flanging) but not in a new project. Let me restart my pad.. If not I’ll just get in touch with Virsyn.. Same thing. The first note plays straight, (excluding flange) but if I record sliding my finger up n down the keyboard they are out of sync on playback, opposite to what it was pre-update..
Well I can resize in AUM..
Had a few (what sounds like two notes flanging) at the start, but after recording a new event it plays nice. Saves me writing an email too.. The two sided job was more to do with some limitations on the size of buffers that VirSyn plugins can handle - I didn't do anything for the key sync issue. I also noticed flanging on the the first note (after the sequencer loops, typically) but didn't want to hassle Harry too much more otherwise he'll probably hate me.